When a brute of a man tramples an innocent girl, apparently out of spite, two bystanders catch the fellow and force him to pay reparations to the girl's family. The brute's name is Edward Hyde. A respected lawyer, Utterson, hears this story and begins to unravel the seemingly manic behavior of his best friend, Dr. Henry Jekyll, and his connection with Hyde. Several months earlier, Utterson had drawn up an inexplicable will for the doctor naming Hyde as his heir in the event that he disappears. Fearing his friend has been blackmailed into this arrangement, Utterson probes deeper into both Jekyll and his unlikely protege. He is increasingly unnerved at each new revelation. 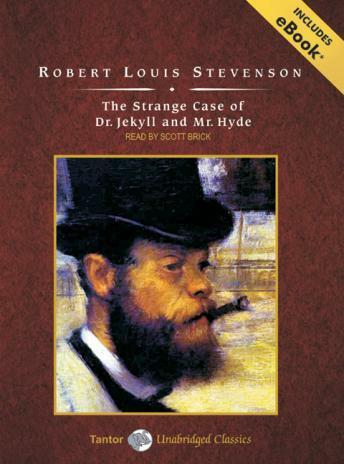 In a forerunner of psychological dramas to come, Robert Louis Stevenson uses Hyde to show that we are both repulsed and attracted to the darker side of life, particularly when we can experience it in anonymity.